As the day for the visit to the opera approached, Charlotte also agreed to dine with her father on that evening. There was no conflict in this. It was customary in these days to dine before going to the opera or the theatre; the Prince Regent, like most people, dined in the late afternoon. There were sixteen at the dinner, among them the Duke of York, but not the Duchess, and politicians from both parties, including Sheridan and Adam. As it was bound to do, the conversation turned to politics. When too much wine had been consumed, the Prince launched into a vehement attack on the Whigs. 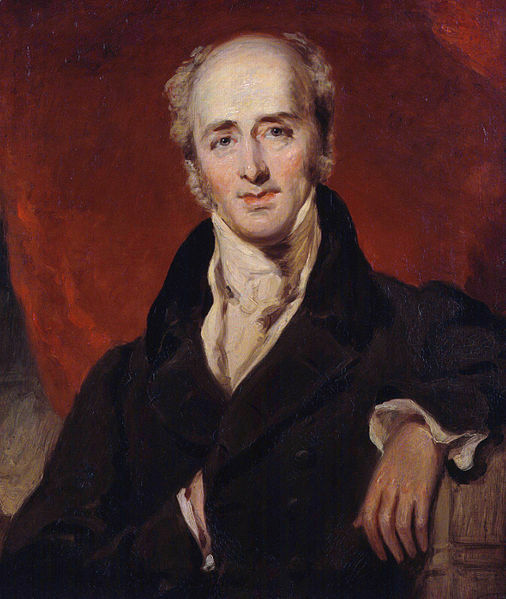 He censured the leader of the Whig opposition, Earl Grey, for not having joined a coalition in the previous year when he was offered the opportunity, and he censured the Duke of York for corresponding with him about a possible future government. Until he was sworn in as Regent, the Prince had been an ostentatious Whig himself. At one of his daughter’s birthday parties he has told the guests proudly that he was having her educated to espouse the ideals of Charles James Fox. 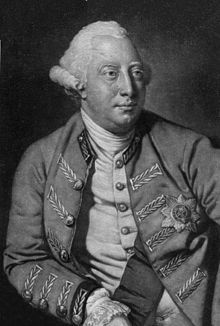 Once he became Regent, therefore, the Whigs fully expected that, after a year, when he would have the power to do so, he would dismiss the government and call a general election. By now, however, it was clear to everyone that he was never going to do any such thing. After all, it was the Tory government, now led by Spencer Perceval, that had made him Regent, and it was the Tory government that was winning the war in Spain. It was neither in his interest nor the nation’s to risk a general election at such moment. I do indeed feel very very unhappy & uneasy about this business in Ireland; it but too too clearly shows the side he has taken. Good God, what will become of us! Of Ireland! We shall without doubt lose that, & as English people all faith & confidence in their Prince. Don’t call me a croker after all this, nor a republican for saying that the Irish will be justified in anything they do, if their long promised freedom is not granted. As the conversation at the dinner table became more and more heated, Charlotte became more and more agitated. The Duke of York defended himself. Lord Lauderdale defended Lord Grey, who was no longer welcome at Carlton House. Eventually Charlotte burst into tears, stood up and turned to leave. Sheridan, not yet too drunk not to be chivalrous, left his seat and escorted her to the door. Back at Warwick House Charlotte composed herself enough to make the short journey to Covent Garden. As she and the Duchess of York entered their box at the opera house, she waved over-excitedly to everyone she knew in the stalls. A few judged her behaviour a little undignified, but to most people it was charming. Then she noticed that the box opposite was occupied by Earl Grey. Here was a chance to tell the world where her political loyalties lay. Having already attracted his attention, she leaned out and, for all to see, blew kisses at the leader of the opposition. A few days later, after the Whig gossips had spread the story of the dinner party throughout London, ‘dear Lord Byron’, whom Charlotte had been ‘seeing a great deal lately’, wrote a short poem in praise of the Princess who did not yet know how popular she was. It was entitled ‘To a Lady Weeping’. Could wash a father’s fault away! Repaid thee of thy people’s smiles. The Lord Chancellor, Lord Elton*, intervened. He advised the Prince to wait till the King returned from Weymouth before taking further action. He warned him of the effect that any drastic measure might have upon the King’s mind. Now, three years after his last illness, the King was giving unmistakable signs that his mind was unbalanced. Although able to dictate letters and deal with state affairs, in his private life he behaved oddly, buying houses and giving extravagant presents. His family watched him with growing alarm. They viewed his increasing kindness to the Princess of Wales with dismay. He conferred upon her the Rangership of Greenwich, and offered to give her Greenwich Park, which she refused. The Prince’s secretary and spy, Colonel McMahon, reported that he received her at Kew because at Windsor “he knew that the Queen and Princesses would be rude to her”. He treated his daughter – in – law with the greatest kindness and affection, but, sadly, his attitude to the Queen worsened, as illness warped his mind. 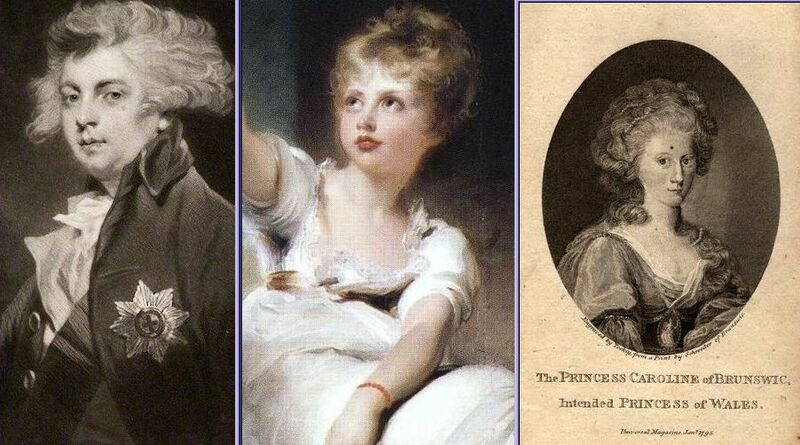 He reverted to the idea which had possessed him in 1788, that his true Queen was the Countess of Pembroke – ‘Queen Esther’. He would like to live with her, he said, in the Great Lodge in Windsor Park; but if she declined his offer, he would transfer it to the Duchess of Rutland. With one or other of these ladies he would “live snug at the Lodge’ while the Queen went to London to hold weekly Drawing Rooms. But on their return from Weymouth, the King and the Queen, at her instigation, began to live apart: she was frightened of him. Whether at Windsor or at Buckingham Palace, she made sure that there would be no question of their sleeping together, and locked the door against her husband. Her temper suffered under the strain: she bullied her daughters and snapped at the King. She sided with the Prince in royal rows. The King’s position cannot have been happy. He was beginning to go blind, and could not recognize people across a room; yet, to outsiders at least, he appeared in excellent health. This was, indeed, the general impression. At the King’s request “that horrible doctor* had been dismissed, and he believed himself, at sixty – six, fit and well. *Dr. Samuel Foart Simmons, Physician to St. Luke’s Hospital for Lunatics.He was called in in 1804 when the King refused to see Dr. Willis; brought his assistants and put the King in a strait – jacket. He was with difficulty persuaded to go, at the insistence of the Prince of Wales. * Correct spelling: ‘Eldon’. More about him here. ‘This, the King decided, was the moment for reconciliation. A tactful letter from the Queen to her daughter-in-law emphasized that she should now prepare to welcome her husband home, and that, to make the reconciliation complete, both parties should abstain from reproaches, or confiding in others on the subject. This idyllic state of affairs was not achieved. By now, neither party wanted a reconciliation, and Caroline, knowing that there was no hope of happiness for her in the Prince’s company, was well aware of the strength of her position while she remained the injured party, separated from a man who would never, in any circumstances, remain faithful to her. Through the friends that she begun to make, she saw that she could play a little game of her own. All this time, the baby in the Carlton House was forgotten; or rather she became a sort of theatrical property baby, dandled by each parent in turn for extra dramatic effect.